In the not-distant future, a disastrous radioactive event has obliterated most of civilization. Yet somewhere deep in the American South is a valley that remains untouched; evidence of a micro-climate or some other miracle. A young farm girl, Ann Burden (Margot Robbie), is grittily surviving on her own in this valley, fearing she may actually be the proverbial last woman on earth. Then, she discovers the most astonishing sight of her life: another human being. 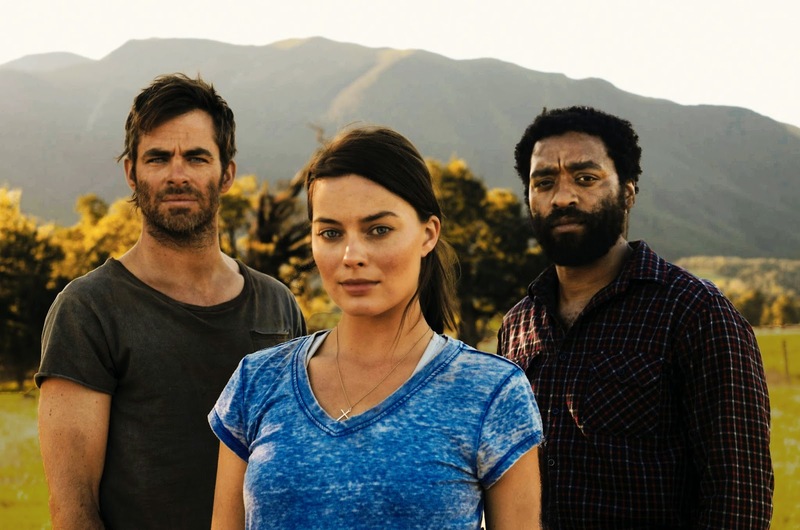 John Loomis (Chiwetel Ejiofor) arrives in the valley a cipher; a distraught scientist nearly driven mad by radiation exposure and his desperate search for others. He and Ann share little in common beyond survival. Even so, as Ann nurses Loomis back to health, they build a fragile, imperative strand of trust across the gulf between them - finding solace amidst the eerie reality of their new lives. With all the time in the world, they even dare to imagine forging a future - for themselves, for humanity. But when a stranger (Chris Pine) enters the valley, their precarious bond begins to unravel. Now, all three must grapple with an unstable situation - one of secrets, suspicions and mortal threats. Director Craig Zobel (Compliance) takes this arresting concept and puts a microscope on the trio at its center - raising provocative questions about human relationships, human aspiration and all the things inside us, both beautiful and terrifying, that endure when everything else ends. With a three-person cast and shot in remote New Zealand, the film re-envisions the bleak, dense, technological end-of-the world epic as a lush, lyrical, emotional portrait of three people stripped down to their most fundamental wonders and darkest flaws.